Cheers! From champagne or sparkling wine to specialty cocktails, choose from our celebratory drinks and raise a toast to your special occasion. Happy anniversary / birthday / graduation / Christmas / housewarming / Friday! 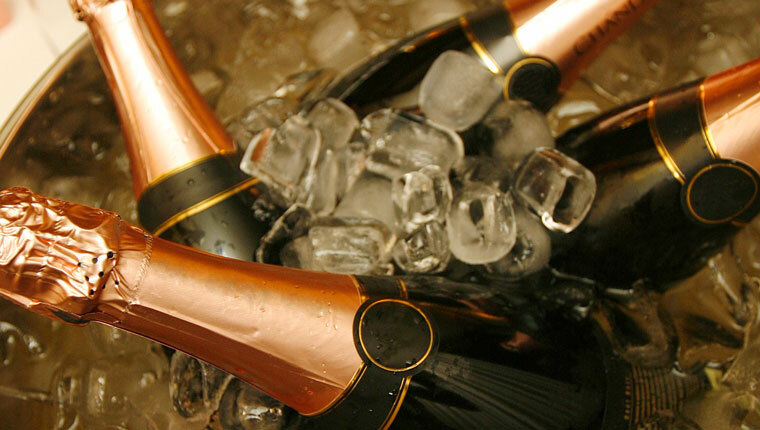 Whatever your celebration occasion we've got a tipple or two for you. But should you use sparkling wine, prosecco, cava or, gulp, champagne for your champagne cocktail recipe? What's the difference and when should you serve which variety? Join us as we explore the different types of celebration sparklers, uncover Australia's best sparkling wines and provide some suggested champagne cocktails recipes for your next soirée. Santé! Is there really a difference? Yes. And no. Very simplistically, champagne is a sparkling wine from the Champagne region in France. It is the only sparkling wine allowed to be called Champagne, because it is made from the grapes grown in that limited area. Australia’s versions of Champagne-style wine are called sparkling wine. Depending on the manufacturer and their production process, some Australian sparkling wines – those following the traditional French ‘methode champenoise’ style of fermentation and bottling – are champagne in everything but name only. And others who ferment their wine artificially in vats are well and truly sparkling wine. There are plenty of styles and manufacturers along the spectrum of cheap and not-particularly-good to expensive-and-worth-every-penny. But like a tough stewing steak which can become a brilliant casserole, even the cheapest of Astis can blossom into a fizzily fantastic summer punch with the right ingredients. 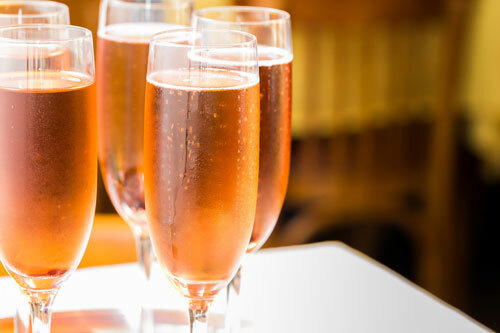 Other contenders in the sparkling wine portfolio include Cava (from Spain), Prosecco (from Italy) Sekt (from Germany) and the French even have their own version of sparkling – Cremant. At the top of the celebratory drinks list is whatever version of fizz takes your fancy. And if you’re looking for some home grown versions you’ve got lots to choose from as Australia is a world contender in the sparkling wines category. Anything that hails from Tasmania, the Adelaide Hills or Victoria’s King and Yarra Valleys is likely to be good. There are plenty of contenders in the $20 - $30 range price point, keep an eye out for specials or bulk buys. Even budget bottles, usually between $12 - $20, can deliver some great flavours worthy of a stand-alone celebratory drink or as part of a champagne cocktail. From a classic Kir Royale to a simple Mimosa via a hearty Black Velvet stout, champagne seems to go with just about everything. But of course you already knew that. 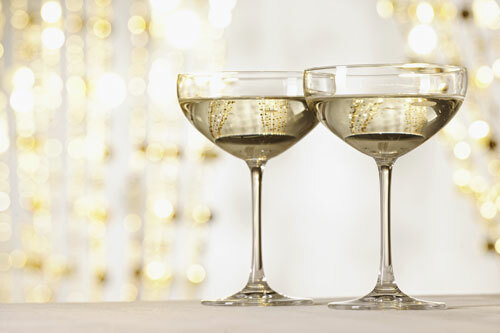 Here’s a selection of our favourite champagne celebratory drinks to get your special celebration off to a swanky start. Start with the crème de cassis, top with champagne, drop in a raspberry, enjoy. Place the sugar cube in the bottom of a champagne glass, then moisten it with two to three drops of the pink bitters. Fill with champagne and pop in a maraschino cherry. Pour strawberry puree into a champagne glass and fill (gently – it will fizz) with prosecco. Finish by topping with a fresh strawberry. Combine the juice, liqueur and rosewater in a cocktail shaker; add ice and shake to combine. Strain (i.e. remove ice) into a champagne flute and top with champagne or sparkling wine. A chilled champagne glass really does help keep cocktails cooler for longer. And for an added touch of elegance, frost the rim by dipping the (empty) glass in a shallow saucer of liquid (e.g. sugar syrup or just water), then dipping it again in another saucer of caster sugar. You only want the frosting to cover about 2mm of the rim.